As the first hotel in Australia to feature the unrivalled Black Label range of APPELLES, Gambaro is proud to offer its guests products of such an exceptional quality. Featuring distinct fragrances and delivering visible results, this advanced collection utilises only the finest natural extracts and premium certified organic essential oils, selected especially for their beneficial and restorative qualities. Integrated into the unique Black Label APPELLES formulations are ingredients that employ the latest advances in skin and hair care. Complimentary for guests, in all rooms and suites. 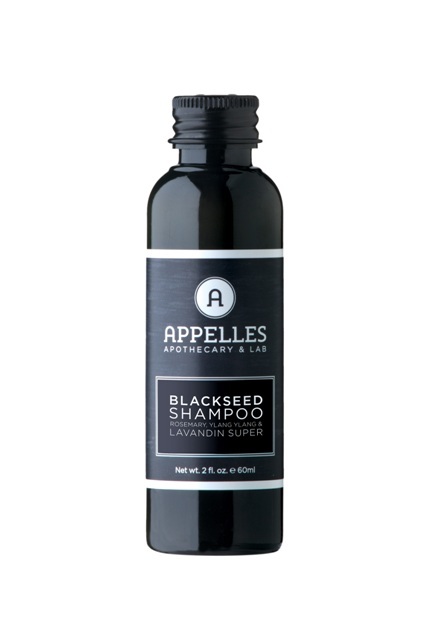 Effective, lightweight and suitable for daily use the rich Blackseed Shampoo cleans and nourishes, gently removing excess oil and dead skin from the scalp and providing follicles with the necessary nutrients and hydration for strong healthy hair. Rosemary cleanses, disinfects and assists with circulation to the scalp while ylang ylang helps with hair growth. Lavender soothes and relieves minor irritations of the scalp. The uplifting blend of essential oils stimulates and energises, imparting a lingering, non-overpowering fragrance without any residual build-up. Blackseed repairs and moisturises hair, restoring volume and shine. Enriched with tamanu nut oil, the Tamanu Conditioner repairs and protects shielding hair from UV and chemical damage by maintaining hair hydration, manageability and softness. Especially suited for treated or sun damaged hair and mild enough to use every day, this nourishing conditioner penetrates into the cortex, moisturising and strengthening follicles from the inside out. Rosemary cleanses, disinfects and assists with circulation to the scalp and ylang ylang helps with hair growth. Lavender soothes and relieves minor irritations of the scalp. The Tamanu extract is a powerful antioxidant which hydrates and restores moisture to dull, brittle hair, boosting resistance to split ends and breakage. Extract of willow bark is combined with oils of Cedarwood Atlas, Juniper berry and Patchouli resulting in an aromatic shower gel leaving you cleansed and hydrated without stripping the body of its natural oils. Cedarwood promotes circulation, flushing toxins from the skin. Applied topically, Juniper berry has disinfectant properties that alleviate stubborn skin conditions and Patchouli assists with skin repair and renewal. Salicin, the active ingredient of white willow bark, has been clinically proven to reduce the visible signs of ageing. An exfoliating agent that is anti-inflammatory, frequent usage results in a significant reduction in the number of wrinkles, tactile roughness and pore size with an increase in skin radiance and overall appearance. The rich, conditioning lather removes skin debris and impurities, reduces irritation and rinses clean to reveal flawless skin. This luxurious Skin Lotion provides supreme moisturising ability in a lightweight formulation that is non greasy and readily absorbed into the skin. Sea buckthorn promotes collagen production, resulting in firmer, more youthful skin. The extract replenishes the body with nutrients and vitamins essential for healthy skin, protects dry skin from moisture loss, rehydrates and tones. Antioxidant packed, it combats premature ageing and protects the skin from environmental stresses. Essential oils of cedarwood, juniper berry and patchouli soothe aggravated skin, providing relief and additional hydration. 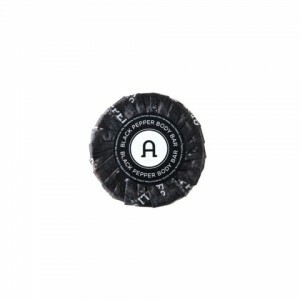 The Black Pepper Body bar is vegetable derived. Warm and stimulating, black pepper improves overall circulation, removing build-up and toxins from your skin’s pores whilst gently disinfecting the body. It assists by sloughing dead skin cells from the body, delivering more oxygen and nutrients to the skin. Suitable for all skin types, the natural emollients soften and soothe leaving skin feeling invigorated and fresh with a lingering fragrance of citrus and pepper. APPELLES was developed with the intention of creating a good, honest skincare range utilising the finest Australian certified organic oils and delivering it to the world. Scientifically proven skincare technology combined with natural ingredients, known throughout the ages to stimulate healthy skin and hair, are enriched with powerful vitamins and extracts and infused with indigenous oil blends forming the foundation that is the APPELLES range. 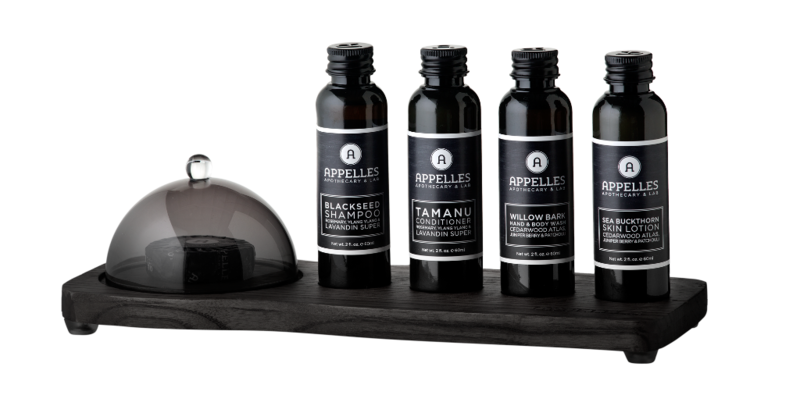 The distinct scents of the indigenous oil blends are indicative of the approach adopted by APPELLES to produce a range reflective of the Australian lifestyle and a unique approach to skin and hair care. Are Australian designed, formulated and stringently tested at our APPELLES lab located in Sydney.